Obexer’s Boat Company, home of the first wooden boat dealership on Lake Tahoe, will be the site of the annual Lake Tahoe Concours d’Elegance, August 10-11, 2018. Presented by Tahoe Yacht Club Foundation, the nationally-acclaimed show will be open to the public for viewing on Friday and Saturday, Aug. 10-11, at the historic Obexer’s Boat Company in Homewood, Calif., on Lake Tahoe’s scenic West Shore. J.P. Obexer’s Boat Company, which was founded in 1911 and introduced Gar Woods boats to the Lake, is located on the west shore, 6.5 miles south of Tahoe City, Calif., on Hwy. 89. 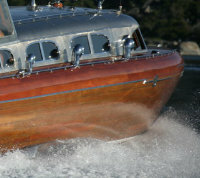 In 1972 a group of Tahoe Yacht Club members and friends got together to share their passion for wooden boats. 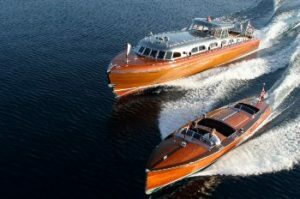 From this modest beginning, the Lake Tahoe Concours d’ Elegance has grown to play a significant role in the wooden boat community, as well as the Lake Tahoe maritime community. Since its induction in 1994 the Tahoe Yacht Club Foundation has hosted the Lake Tahoe Concours d’Elegance focusing on the continuing growth of the show, the quality of boat exhibits, the highest of judging standards and practices, and most importantly sharing the passion of wooden boats between exhibitors and public. Each year the Tahoe Yacht Club Foundation raises money for charitable donation which is exclusively focused in providing educational opportunities originating in the Lake Tahoe area that enhance expertise or understanding of maritime skills. The Tahoe Yacht Club Foundation has been able to make grant donations totaling more than $250,000 since 1994. Click here to learn more about this exciting North Lake Tahoe event and to purchase tickets.